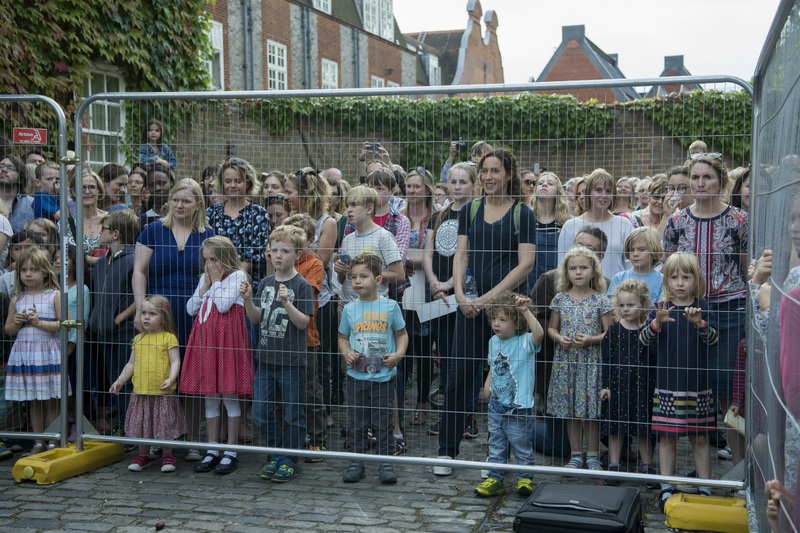 Hundreds of former Cambridge students gathered at Newnham College on Saturday to watch the ceremonial demolition of a wall which marked the start of a major building project. 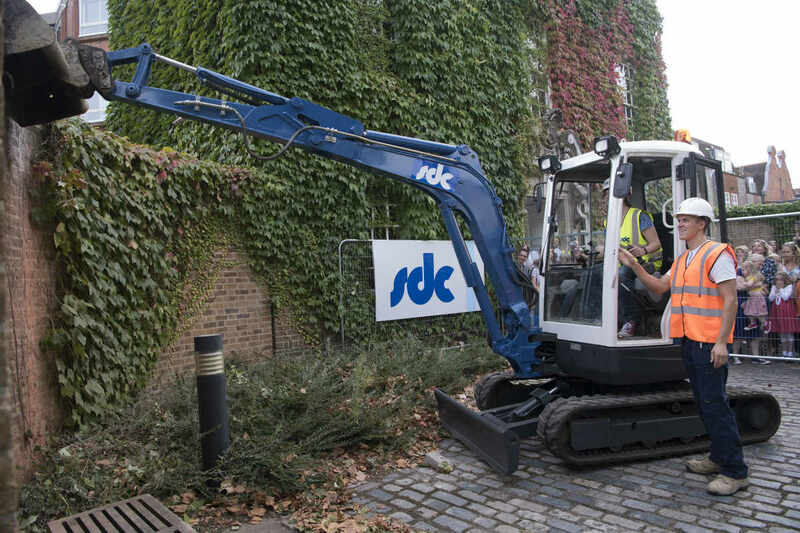 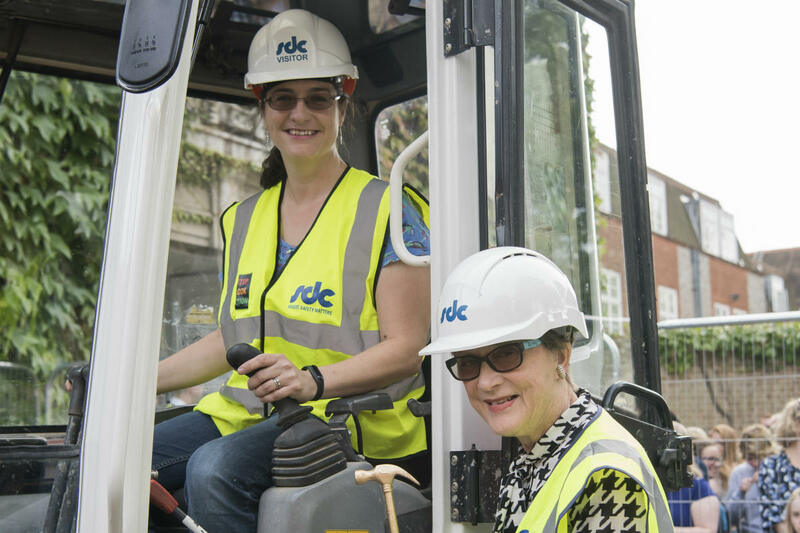 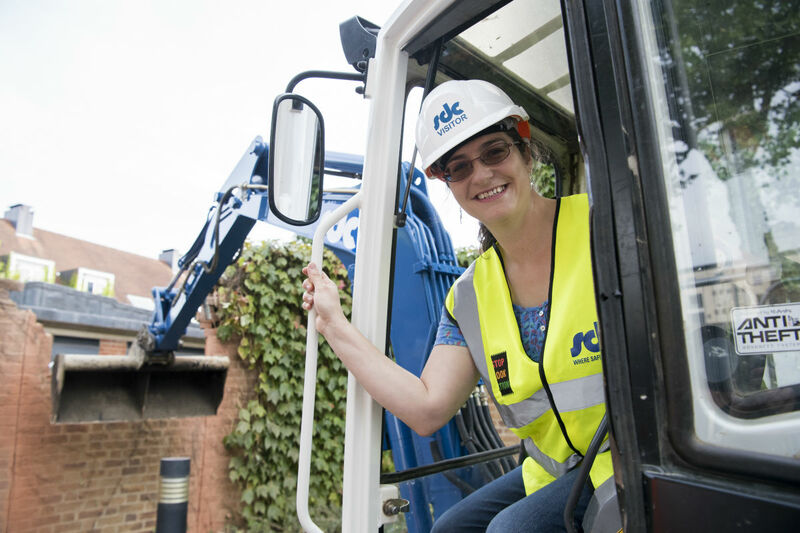 Alumna Philippa Moore (NC 1996) won the chance to operate the digger and was watched by 400 people who stood on the forecourt of the old Porters’ Lodge. 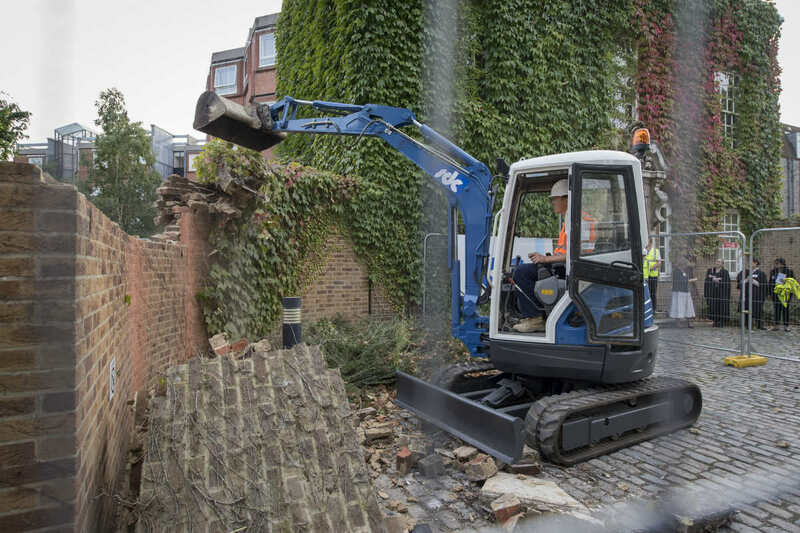 The engineer, who lives in Trumpington and read Natural Sciences, was watched by her family and friends as she smashed down the wall.  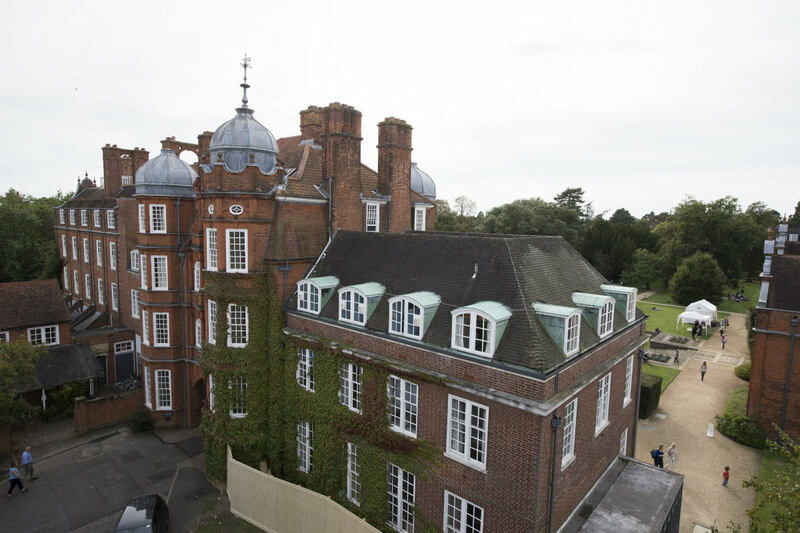 Strachey, an accommodation block, will soon be demolished as will Newnham’s old Porters’ Lodge and part of Fawcett, another accommodation and office building. 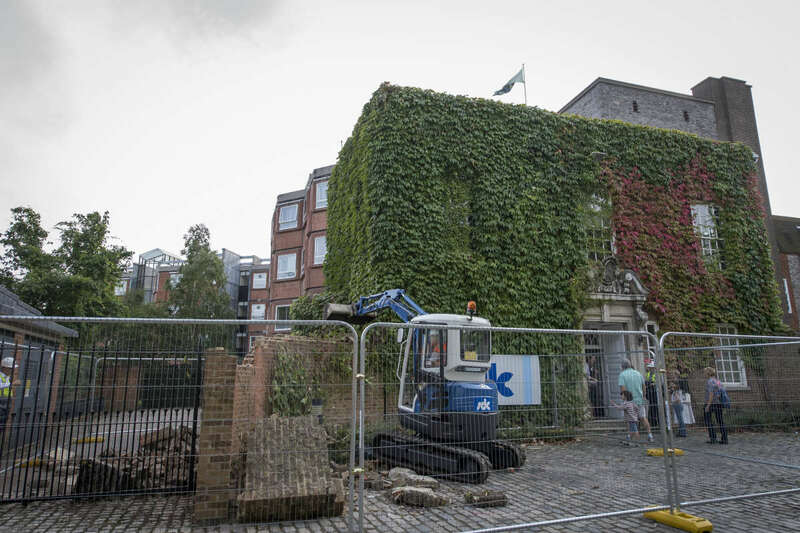 They will be replaced with high quality social areas, a new Porters’ Lodge, a gym, a café, conference facilities, supervision rooms and a suite of modern offices. 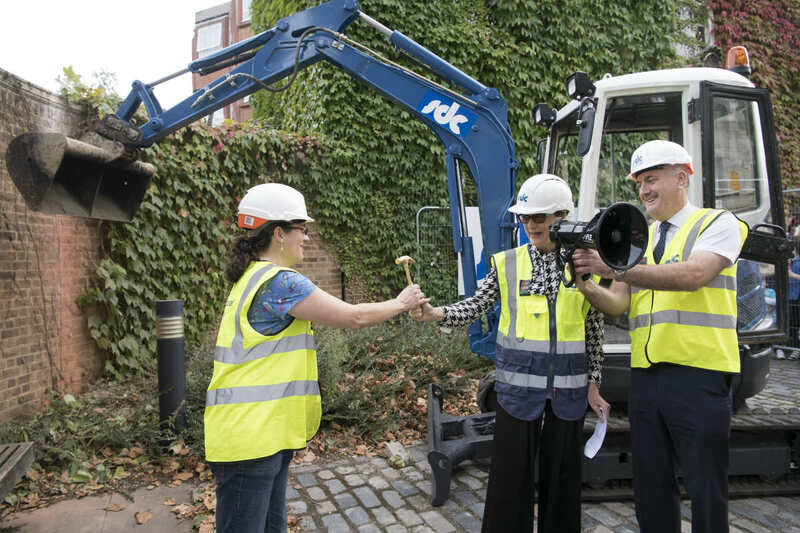 A total of 86 student bedrooms will be removed and replaced with 90 en-suite bedrooms. 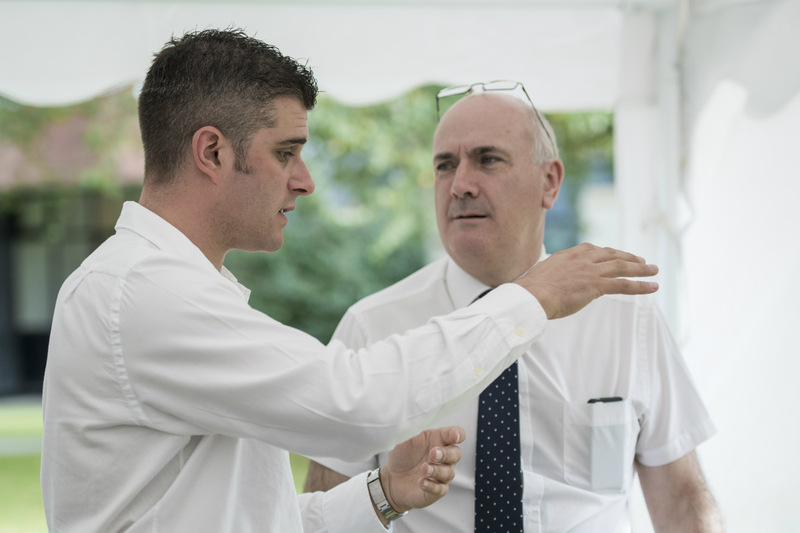 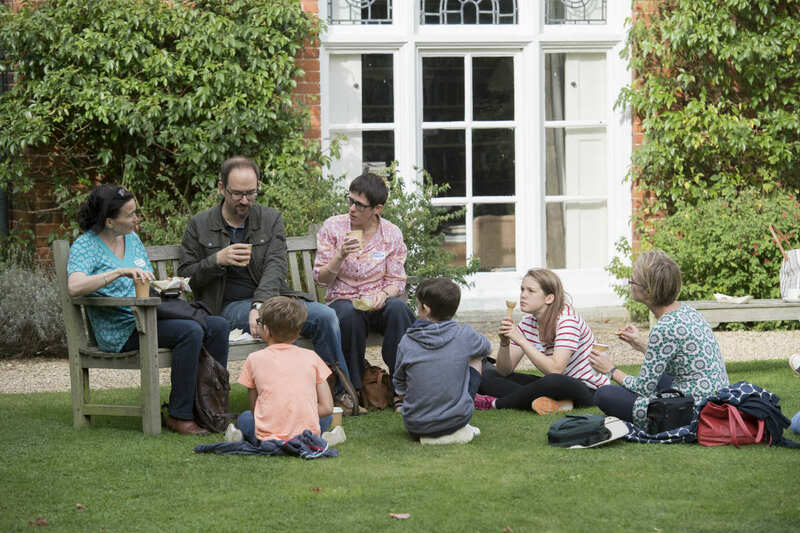 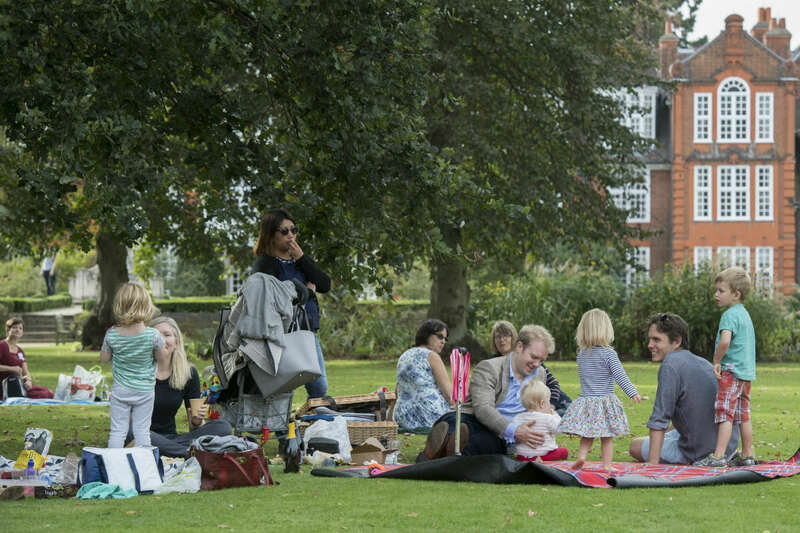 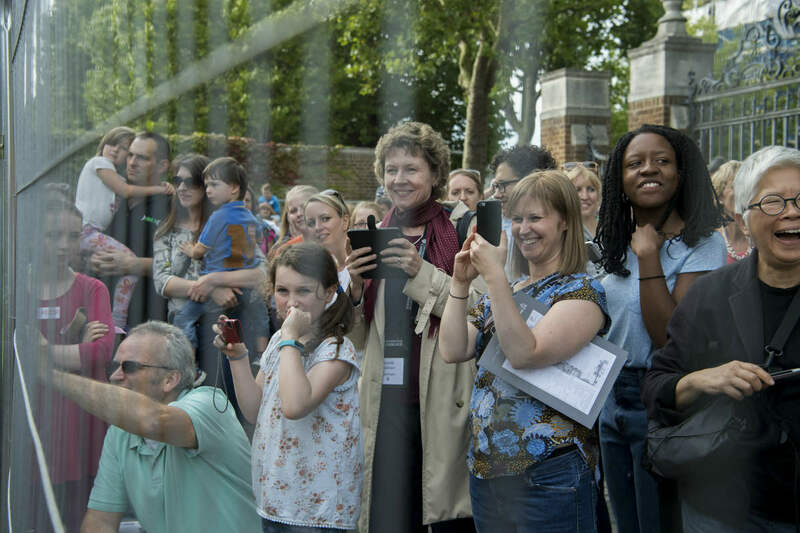 The celebratory family event was part of the Cambridge University’s Alumni Festival 2016 weekend. 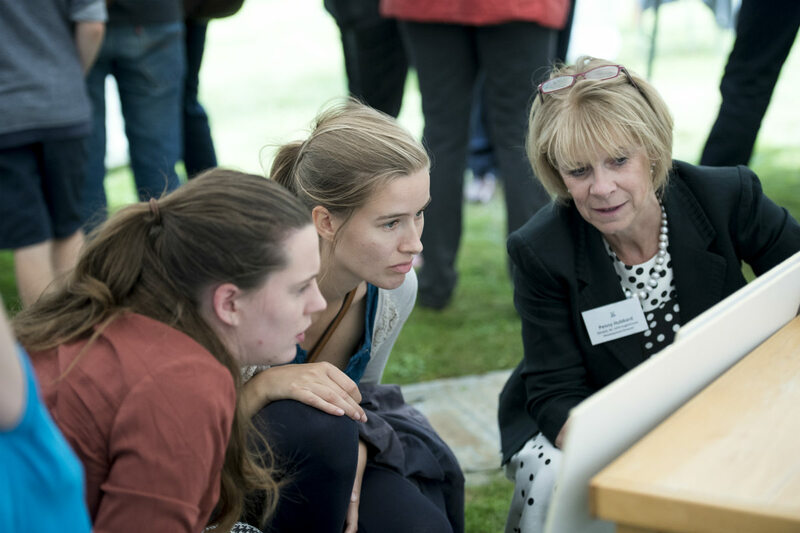 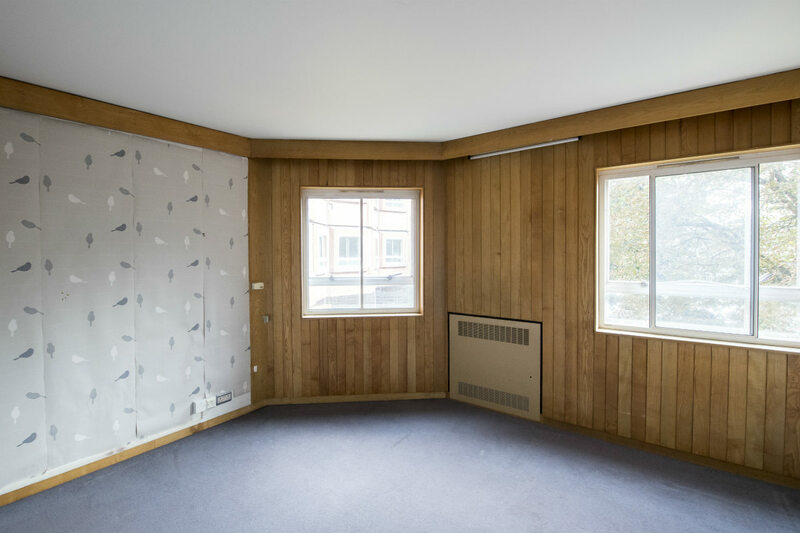 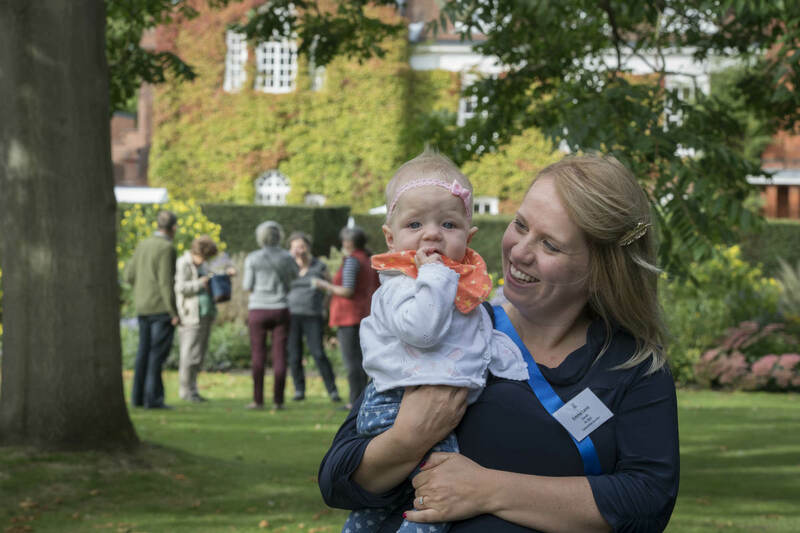 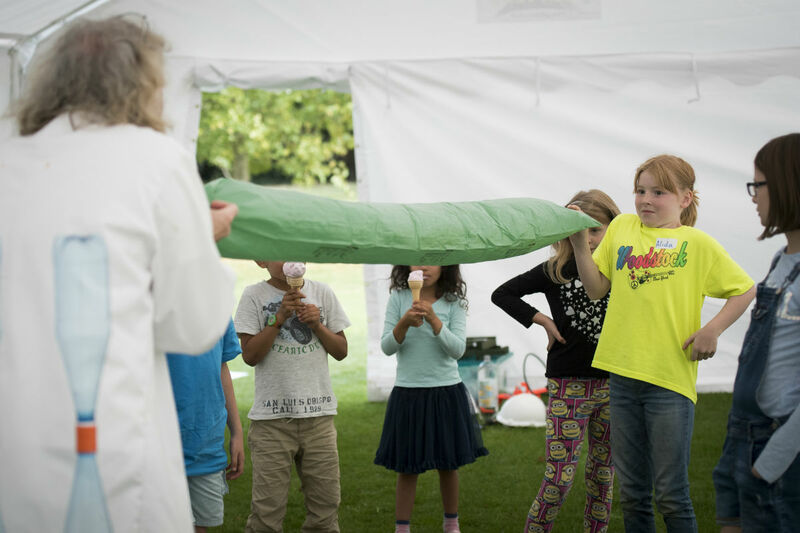 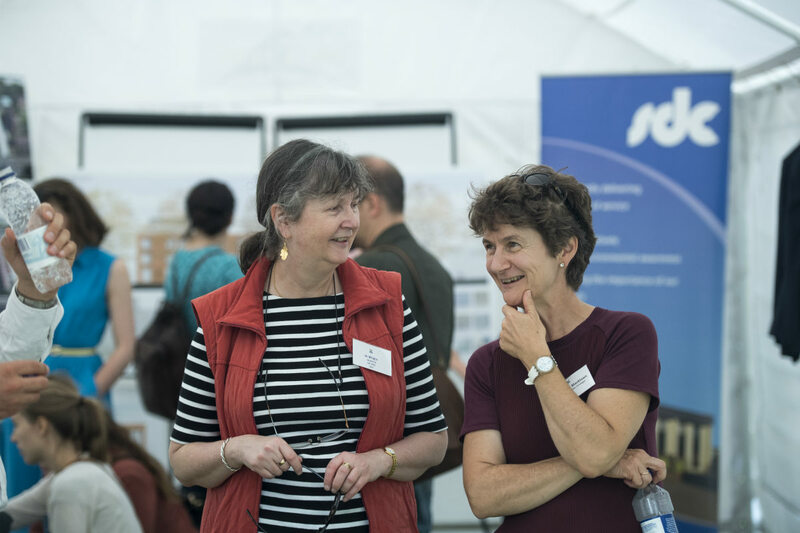 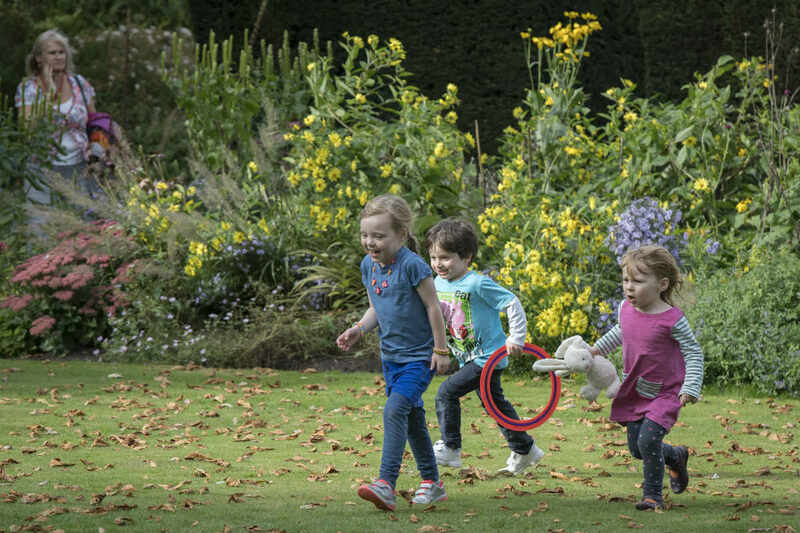 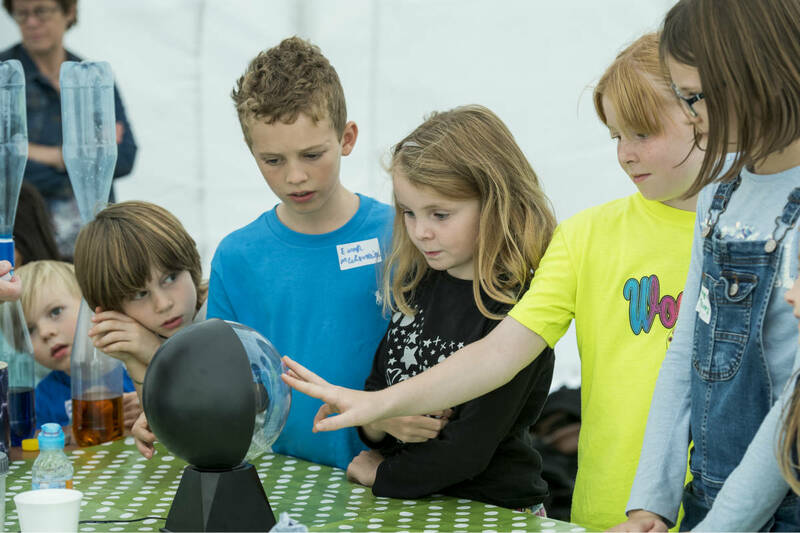 It included interactive science experiments for children, a barbecue, an exhibition of memories from alumnae who were at Newnham during the 1950s and 1960s, a chance to meet the building contractors, and an opportunity to explore Strachey before it is demolished. 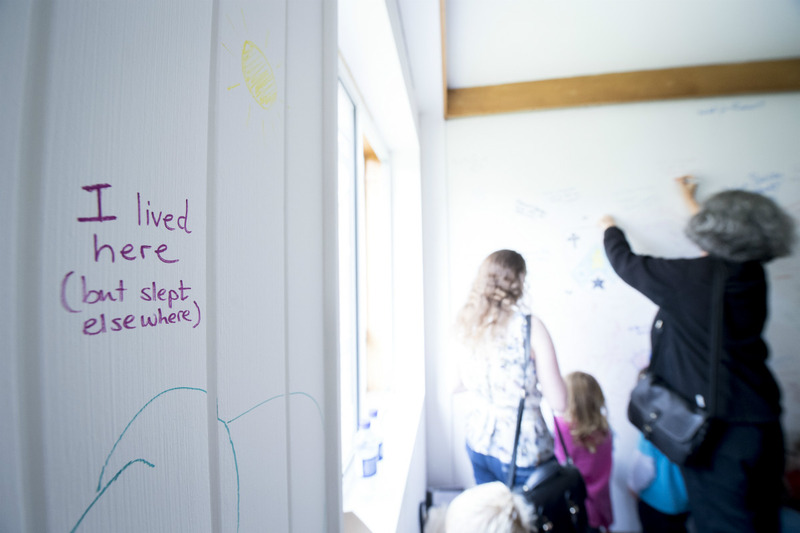 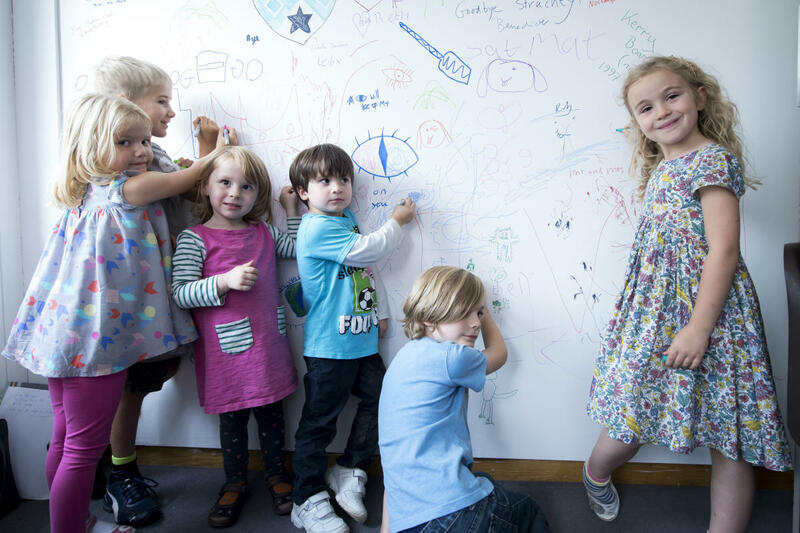 Guests also had a chance to draw on the walls of Strachey in a special graffiti room and visit the roof to enjoy scenic views of the College. 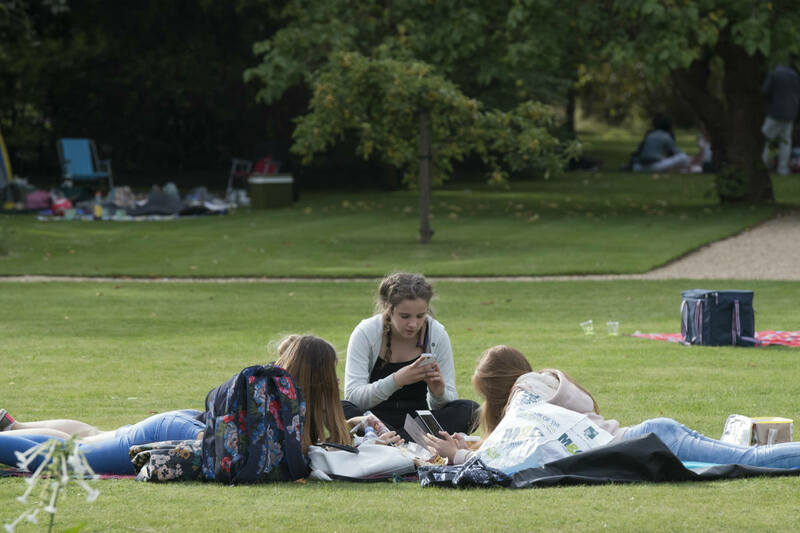 Strachey was named after Pernel Strachey, a former Newnham student, who was Principal of the College from 1923 until 1941. 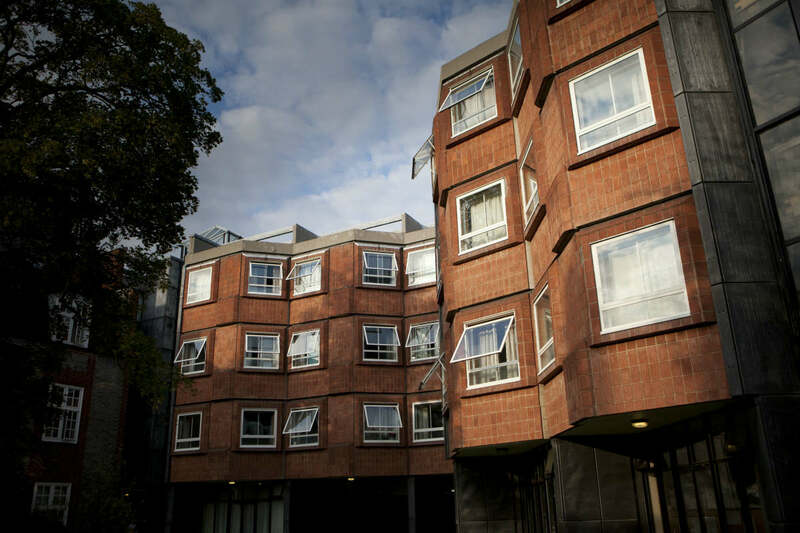 The Strachey building was considered to be state-of-the-art when it was completed in 1968. 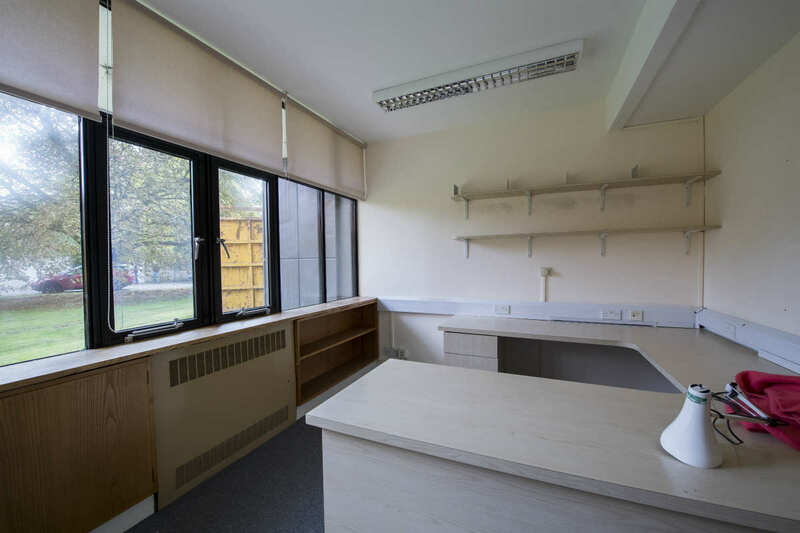 It cost £300,000 to build – a sharp contrast to the refurbishment estimate which came in at £15 million! 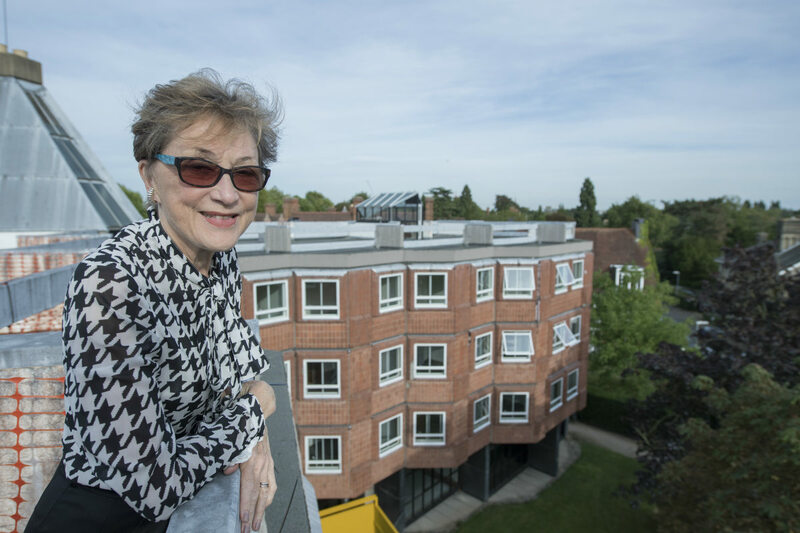 Professor Dame Carol Black, Principal of Newnham College, said: “Many of our alumnae have happy memories of their time living in Strachey, but the services are now beyond repair. 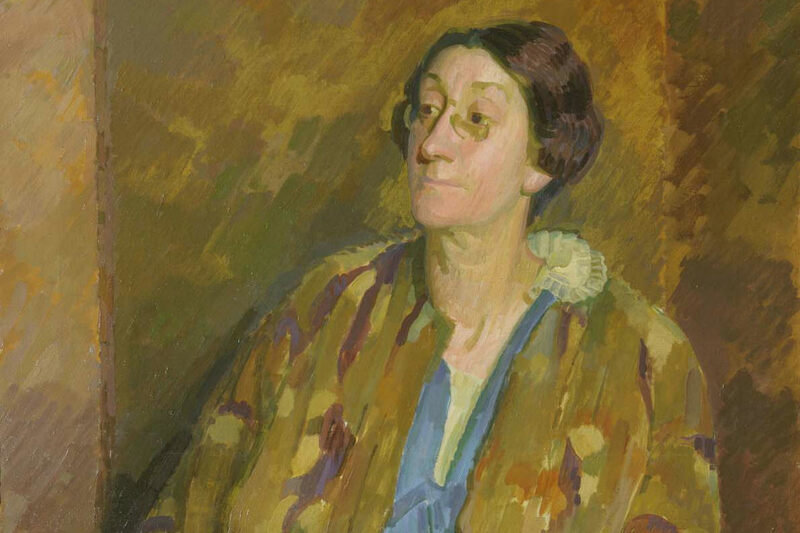 Pernel Strachey, former student and Principal of Newnham College from 1923-1941. 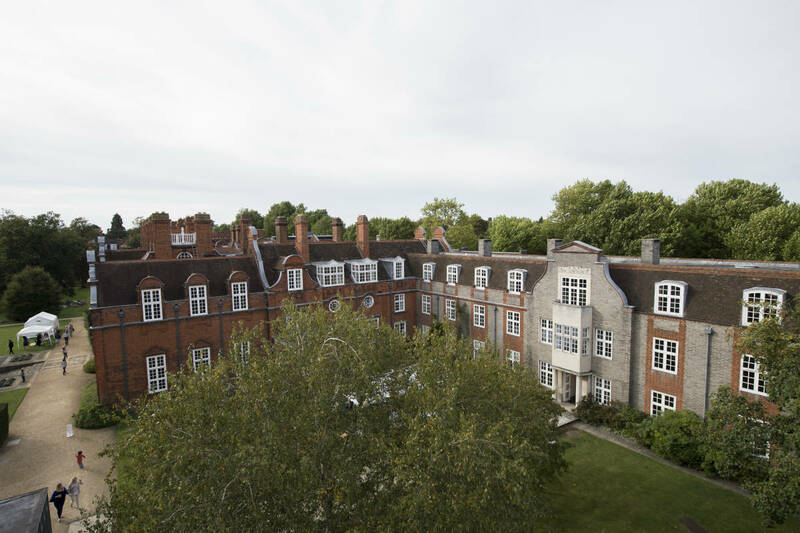 Strachey, the accommodation and office block which was named after Pernel Strachey, former Principal.